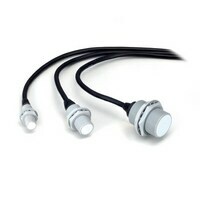 Two-wire self contained amplifier proximity sensors EV series Shorter, space saving sensor bodies with high detection sensitivity and long detection distances. 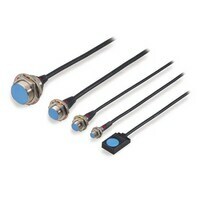 Three-wire self contained amplifier proximity sensors EZ series Shorter, space saving sensor bodies with high detection sensitivity and long detection distances. 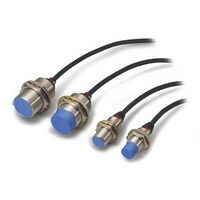 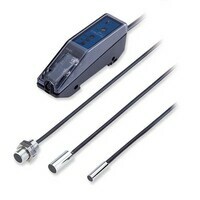 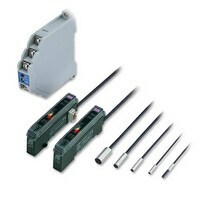 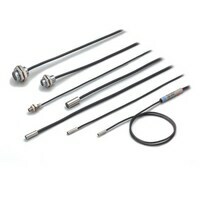 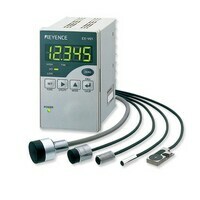 Proximity sensors with in-cable amplifiers EM series Small, amplifier-in-cable sensor heads with built-in indicator LEDs and up to a 8-mm detecting distance. 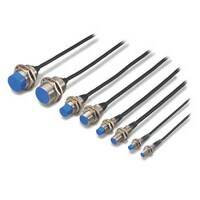 Separate Amplifier Proximity Sensor ES series Separate amplifier proximity sensors with twice the detecting distance of self-contained sensors and a range of up to 8-mm (shielded) and up to 70-mm (non-shielded).